So it's been a really really long time since I wrote a blog. I've been thinking lately that I'll start again. So here's what's coming up. This book. You want to buy it. I have multiple patterns in it, and it's going to be awesome. 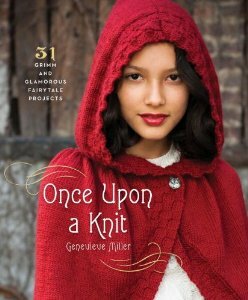 Genevieve Miller (author of Vampire Knits) was a delight to work with. Joan of Dark (aka Toni Carr) also has some truly amazing patterns in it. What more reason do you need? The bad news is that it looks like it won't be out until February 2014. Possible a Valentine's Day gift for that special knitter in your life? You have plenty of time to rationalize the purchase, or you could just order it now, have plenty of time to forget you ordered it, and be pleasantly surprised when it shows up all unexpected in the mail.